Fig. 7. 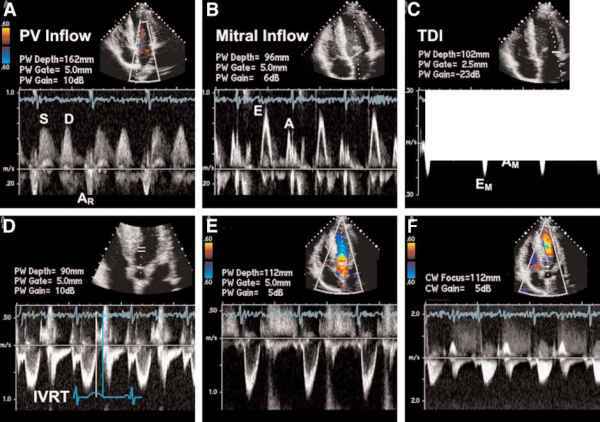 Mitral inflow profiles showing evidence of diastolic dysfunction in dilated cardiomyopathy. The mitral inflow pulse Doppler profile in dilated cardiomyopathy often shows an impaired relaxation pattern (A) with prolonged deceleration time (DT > 200 ms) and reversal of the normal E:a ratio during the early stages. Later worsening of diastolic dysfunction is accompanied by a compensatory increase in left atrial filling pressures (driving pressure) results in early rapid filling of the left ventricle (a tall, thin E-wave) in the setting of a dilated left atrium. The marked fall in the A-wave velocity reflects atrial systolic dysfunction owing to a poorly compliant left ventricle. Fig. 9. Restrictive cardiomypathy: amyloid heart disease. Doppler profiles in 76-yr-old male with decompensated heart failure and amyloid cardiomyopathy shows classic Doppler findings in restrictive cardiomyopathy (A). Right upper pulmonary venous flow with reduced systolic:diastolic flow ratio (B). Mitral inflow profile with increased E:a ratio < 2 (C). Markedly reduced velocities on Doppler tissue imaging (D). Blunted Vp slope on color flow propagation velocity M-mode. Restrictive cardiomyopathy Dilated cardiomyopathy Hypertrophic cardiomyopathy Hypertensive cardiomyopathy Ischemic cardiomyopathy was notable for low-voltage QRS complexes and left bundle branch block. Echocardiography study showed preserved left ventricular ejection fraction and echocardiogenic speckling suggestive of cardiac amyloid. His pulmonary artery pressure on echocardiography was estimated at 50 mmHg plus right atrial pressure. Selected still frames are shown in Figs. 8 and 9 (please see companion DVD for corresponding video for Fig. 8). The restrictive cardiomyopathies are characterized by diastolic dysfunction because of poor ventricular compliance (reduced chamber distensibility). The underlying restrictive or infiltrative processes (Table 4), despite the specific etiology, typically lead to progressive biventricular stiffness and elevated filling (dias-tolic) pressures, manifesting clinically as exertional dysnea and right heart failure. Yet it is important to recognize that diastolic dysfunction is not specific to restrictive cardiomyopathy, and frequently accompanies other cardiomyopathies that are not primarily restrictive (Table 5). 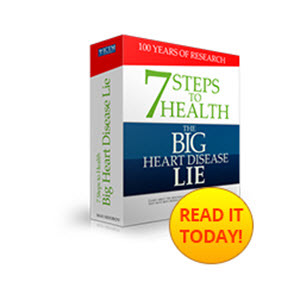 thicknesses may be normal, increased, or even decreased. In amyloid heart disease, the prototype restrictive cardiomyopathy, concentric left ventricular thickening is typical and systolic function preserved (until the advanced stages). The pattern of myocardial wall thickening (involving the right ventricle and intera-trial septum) are clues to the diagnosis (Table 7). Right ventricular dilatation frequently occurs and biatrial enlargement is almost always present. In addition, a small pericardial effusion and nonspecific valvular thickening are common. A "ground-glass" or "sparkling" appearance of ventricular myocardium is distinctive, but nonspecific for amyloid. However, when combined with other echocardiographic findings, it is highly suggestive of amyloid. Two-dimensional/ Left ventricular hypertrophy M-mode findings (with low QRS voltages or pseudoinfarct pattern on electrocardiogram), diminution of left ventricular cavity size, right ventricular hypertrophy, distinctive "ground-glass or sparkling" appearance of myocardium (nonspecific), thickened inter-atrial septum and valve leaflets, biatrial enlargement, echocardiographic signs of right heart failure, multi-valvular regurgitation; small to moderate pericardial effusion, LV function usually preserved until advanced stages Doppler findings Diastolic dysfunction (commonest and earliest abnormality), restrictive cardiomyopathy Doppler profile other infiltrative disease, and distinguish it from other causes of increased wall thickness, such as hypertensive hypertrophy or hypertrophic cardiomyopathy. Doppler profiles found in restrictive cardiomyopathy (Table 6) reveal abnormal diastolic filling patterns (see also Chapter 6). Reduced ventricular compliance (increasing ventricular stiffness) requires greater filling pressures, i.e., elevated ventricular end-diastolic pressures and markedly increased atrial pressures. Fig. 10. Restrictive cardiomyopathy: amyloid heart disease. 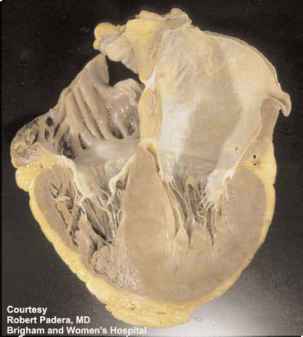 Gross heart specimen from a 66-yr-old man patient with systemic amyloidosis who died from congestive heart failure. Heart weighed 650 g (adjusted normal <350 g). Note thickened left ventricle with reduced cavity size, dilated atria, and intracardiac device. Biatrial enlargement reflects the consequences of impaired ventricular filling—a characteristic of restrictive cardiomyopathies. A-wave (E:a ratio >1 and DT <150 ms). The most reliable diastolic abnormality by echocardiography is reduced myocardial relaxation velocities. Patients with advanced restrictive heart disease, such as amyloid, can have lateral mitral annular diastolic velocities of 5 cm/s or less (see Chapter 6). The more common etiologies for restrictive cardio-myopathy are: (1) cardiac amyloid, which is the most common cause in the industrialized world; (2) hypere-osinophilic syndrome and endomyocardial fibrosis, common in parts of Latin America, Asia, and Africa; (3) carcinoid heart disease (see Chapter 19); (4) Sarcoi-dosis (sarcoid granulomata primarily affect the retic-ulo-endothelial system, the lungs, and skin, but cardiac involvement occurs). Right heart failure may be a sequel to pulmonary fibrosis, but sarcoid granulo-matous infiltration of the heart can lead to a restrictive cardiomyopathy as well as impaired systolic function and conduction disturbances (Fig. 11). Fig. 11. Restrictive cardiomypathy: cardiac sarcoid. Echocardiography images and a gross heart specimen from a 58-yr-old female who succumbed to complications related to severe pulmonary sarcoid, pulmonary fibrosis, and bronchiectasis are shown. In addition to Doppler indices consistent with a restrictive cardiomyopathy, biatrial enlargement and right ventricular hypertrophy secondary to pulmonary hypertension were seen (A-D). Fig. 12. Doppler indices: constrictive pericarditis vs restrictive cardiomyopathy. Simplified schema integrating Doppler profiles of mitral inflow, Doppler tissue imaging, and respirophasic changes to distinguish constrictive pericarditis from restrictive cardiomyopathy. 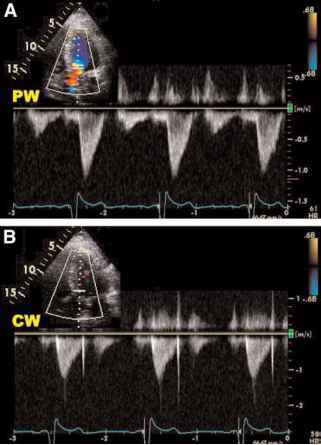 Other Doppler profiles of tricuspid valve flow (Chapter 10, Fig. 12), pulmonary venous flow, and hepatic venous flow, should be integrated to improve assessment. 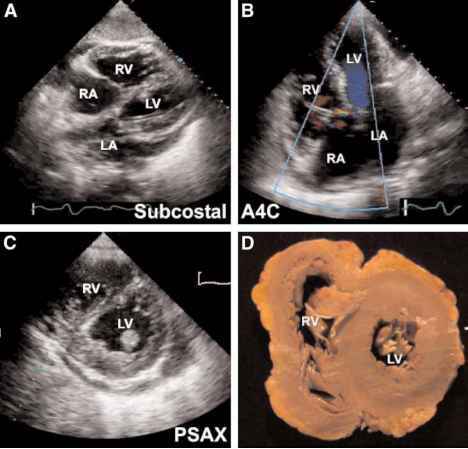 However, the basis of the distinction remain the clinical presentation, two-dimensional echocardiographic findings, and computed tomography /magnetic resonance imaging. physiology, whereas quite abnormal in patients with restrictive disease. 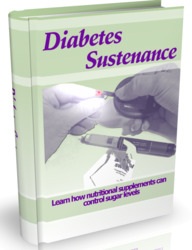 Clinically silent diastolic and systolic dysfunction eventually occurs in most patients with diabetes mellitus, even in well-controlled individuals. 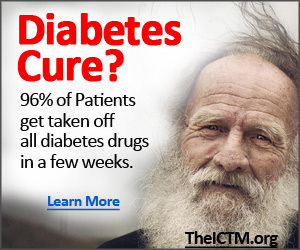 Diabetic cardiomyopathy is increasingly recognized as perhaps the most prevalent type of restrictive cardiomyopathy. 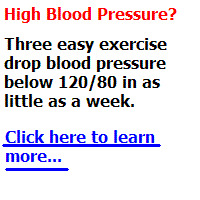 rhythm, heart rate of 67 bpm, normal intervals, and normal axis. Right ventricular conduction delay, left ventricular hypertrophy (LVH), and repolarization abnormalities were present. On echocardiography, his left ventricular size was normal with normal left ventricular function and ejection fraction 70-75% (Figs. 13 and 14, please see companion DVD for corresponding video). No regional wall motion abnormalities were present but marked septal hypertrophy with maximal wall thickness of 24 mm (proximal-midseptum) was noted. 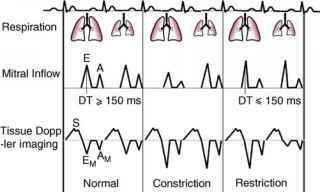 Only minor systolic anterior motion (SAM) of the mitral chords was seen. No significant intracavitary gradient was detected either at rest or with the Valsalva maneuver. 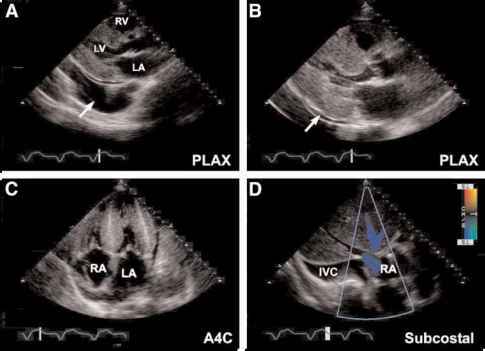 Reversed curvature of the interventricular septum was seen. The aortic root and leaflets were normal but trace aortic regurgitation was present. The right ventricle, tricuspid valve, and both atria were normal in size and function. The inferior vena cava and the pericardium were normal. Hypertrophic cardiomyopathy is typically defined as unexplained ventricular hypertrophy, and can be generally diagnosed in a patient with hypertrophy not associated with hypertension or other obvious causes, such as aortic stenosis. The majority of cases of hypertrophic cardiomyopathy are caused by sarcomeric genetic mutations, although many specific gene mutations have been identified. Approximately 50% of cases are autosomal dominant. Hypertrophic cardiomyopathy exhibits great heterogeneity both in morphological appearance and clinical presentation. Most patients with hypertrophic cardiomyopathy present clinically between ages 20 and 40 yr. Presentation later in life is generally associated with less severe forms of the disease. Fig. 14. Case presentation: hypertrophic cardiomyopathy. 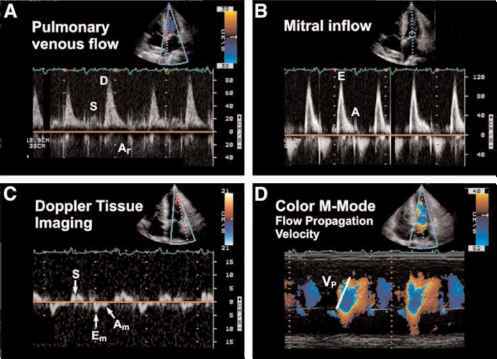 Spectral Doppler profiles of patient in our case presentation shows normal Doppler profiles in the evaluation of pulmonary venous flow, mitral inflow, and Doppler tissue imaging at the lateral mitral annulus (A-C). Pulse Doppler interrogation along the septum using apical windows showed no stepwise increase in gradient (D,E). Continuous-wave Doppler evaluation confirmed the same (E). 8. Monitoring and follow-up postmedical or surgical intervention detecting dynamic outflow tract obstruction and its various components, as well as in the assessment of provocative maneuvers. Intraprocedural myocardial contrast echocardiography can improve the success rates of septal ablation procedures for hypertrophic cardiomyopathy. 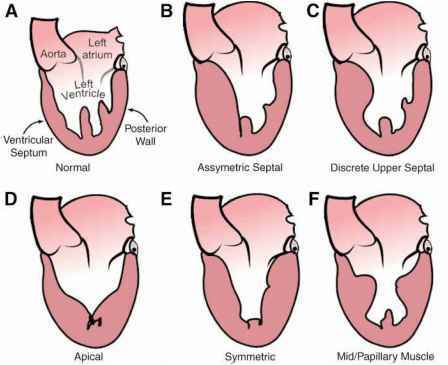 Echocardiographic features of the most common variant—assymetric septal hypertrophy—includes marked hypertrophy along the length of the entire inter-ventricular septum, often at the expense of the left ventricular cavity and normal or increased ventricular systolic function. Often, the septal-to-posterior wall thickness ratio is greater than 1.3, although it is also not uncommon to find relatively concentric hypertrophy. Reversed curvature of the interventricular septum is a typical finding in hypertrophic cardiomyopathy. Typically, hypertrophy extends down the majority of the length of the septum and is distinct from upper septal disproportionate thickening common in hypertensive hypertrophy of the elderly. Fig. 15. Hypertrophic cardiomyopathy: variants. Hypertrophic cardiomyopathy morphology exhibits heterogeneity. The most common variant is assymetric septal hypertrophy involving the entire septum (B). Discrete upper septal hypertrophy displays a sigmoid-shaped septum (C). It is not the same as discrete/disproportionate upper septal thickening (DUST) or "septal knuckle" often seen in the elderly. The apical variant of hypertrophic cardiomyopathy (D) was first described in Japan, but occurs globally. The left ventricular chamber assumes an "ace of spades" configuration and is best seen in the apical 4-chamber view. It must be differentiated from left ventricular noncompaction. The concentric pattern of hypertrophic cardiomyopathy (E) occurs, exhibiting symmetrical thickening of the entire left ventricular wall. Concentric left ventricular hypertrophy with pressure overload states can be confused with this variant. 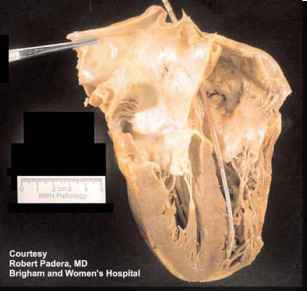 Hypertrophied papillary muscles or midventricular hypertrophic cardiomyopathy is an uncommon variant. It may be associated with midcavity obstruction. the LVOT (Fig. 15). Echocardiography features found in hypertrophic cardiomyopathy are summarized in Table 9 and Figs. 16 and 17. Marked narrowing of the LVOT is seen or inducible in about one-fourth of patients. The result is dynamic LVOT obstruction (Fig. 18; please see companion DVD for corresponding video). This involves more than obstruction caused by the hypertrophied septum. SAM of the anterior mitral valve leaflet and abnormalties of the entire mitral valve complex commonly occur (Table 10). 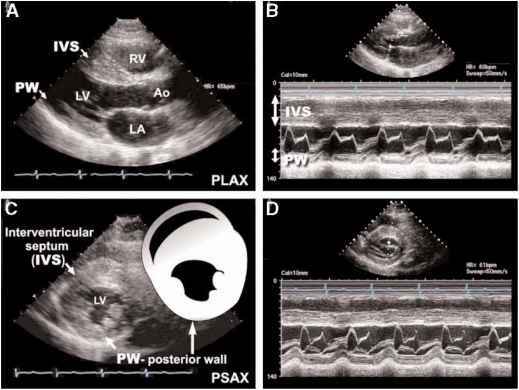 Enlarged elongated mitral leaflets and abnormalities of the subvalvular apparatus—papillary muscles and chordal attachments— all participate in the septal anterior motion and outflow tract obstruction. A posteriorly directed mitral regurgitant jet typically accompanies SAM. LVOT, left ventricular outflow tract; CW, continuous wave; SAM, systolic anterior motion. Fig. 16. Hypertrophic cardiomyopathy: concentric variant. Hypertrophic cardiomyopathy of the concentric variety in a 38-yr-old male who succumbed to surgical complications unrelated to his cardiomyopathy. Note the massive hypertrophy confined to the left ventricle and marked dilatation of his left atrial chamber. secondary hypertrophic cardiomyopathies and hyper-contractile states (Table 11). 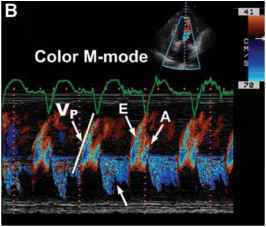 The time of onset and the duration of SAM are best appreciated on M-mode echocardiography. Both such measurements are related to the severity of LVOT obstruction (Fig. 20). Fig. 17. Hypertrophic cardiomyopathy. Spectral Doppler profile of characteristic "dagger-shaped" flow distal to the hypertrophied septum. This reflects late peaking maximal velocities—a manifestation of some obstruction to systolic flow. or amyl nitrite inhalation (Table 12; Fig. 22); or increased by maneuvers that increase preload, such as simple leg lifting. Dynamic outflow obstruction is best appreciated on continuous-wave Doppler. Interrogation of velocities across the LVOT produces a characteristic late-peaking Doppler profile. Using the simplified Bernoulli equation, peak velocities can be converted into pressure gradients across the LVOT. Exercise provokes increased LVOT gradients and exercise stress echocar-diography may provide better correlation between symptoms and disease severity compared to amyl nitrite inhalation (Table 12, Fig. 23A). What is septal knuckle on an echocardiagram? What is sigmoid septum images?